So, I have a fresh Microsoft Surface Pro which I have just installed all the latest updates on as of 23/06/2013. 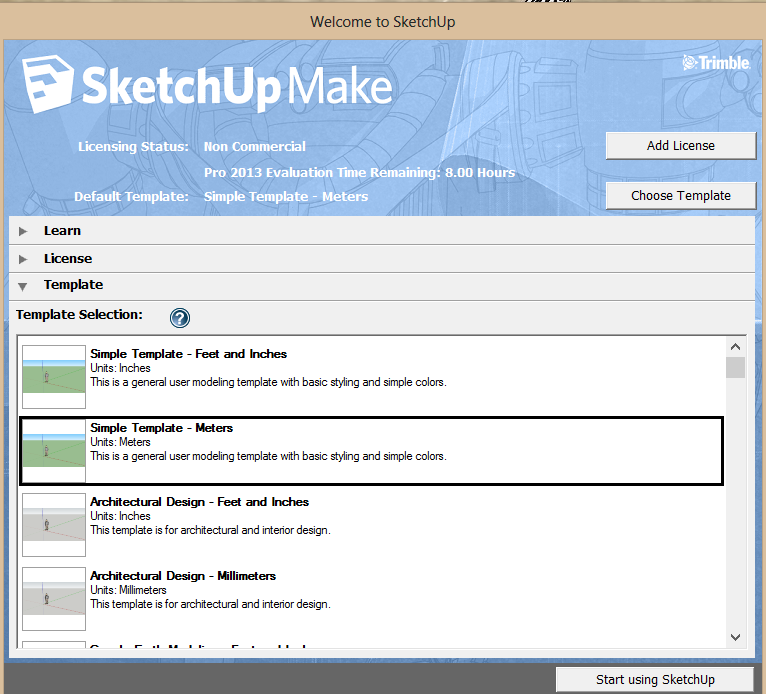 Happily, I install Sketchup 2013 and launch the application. I select the Template to start with and Whamo! 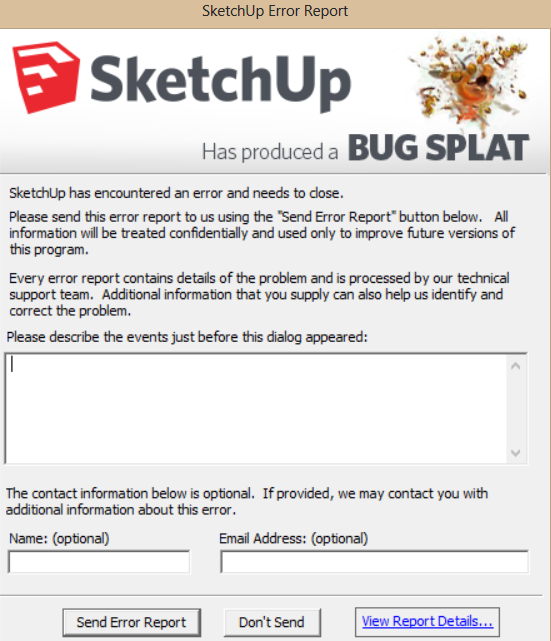 the application crashes and a Bug Splat report is launched. It turns out, the cause is the display driver. 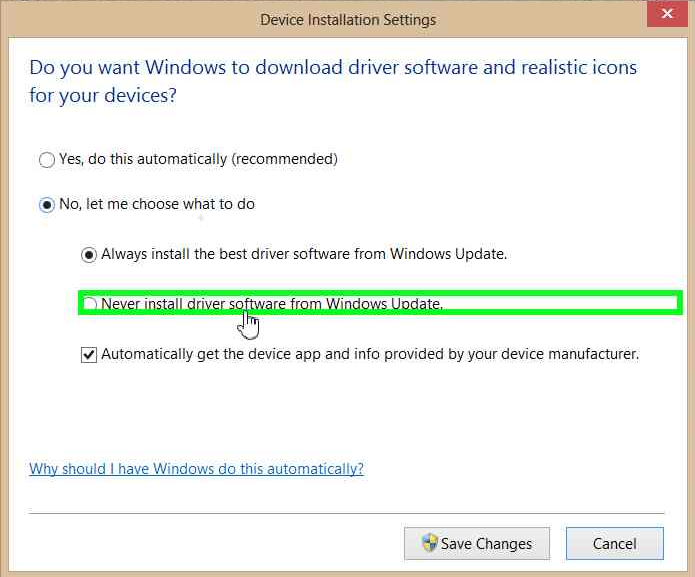 There is a different version of the Intel Display driver available than what Windows 8 will automatically install. 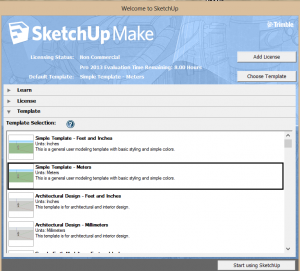 By simply downloading and installing the version 15.31.3.64.3071 from Intel, Sketchup will run happily on the Surface Pro. Now what happens when Windows 8 wants to do the right thing and keep the OS running how it has been told to run. Well, it will just install the driver from the Windows update database. So here are the steps we need to follow. 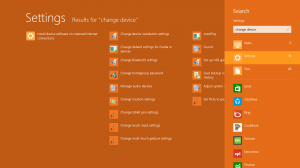 This guide is intended for users with a technical knowledge of the Windows 8 Operating system. 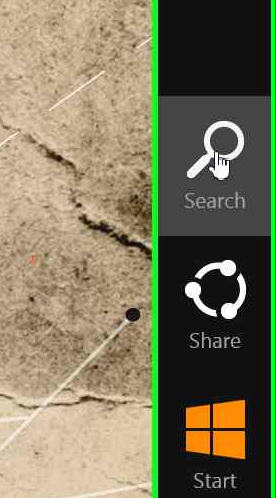 Bring up your Start Search by swiping left from the right side of your screen. Just remember this will stop Windows 8 managing Device Drivers. 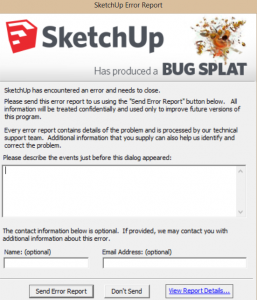 It could potentially cause problems when it comes to the Touch interface driver updates. 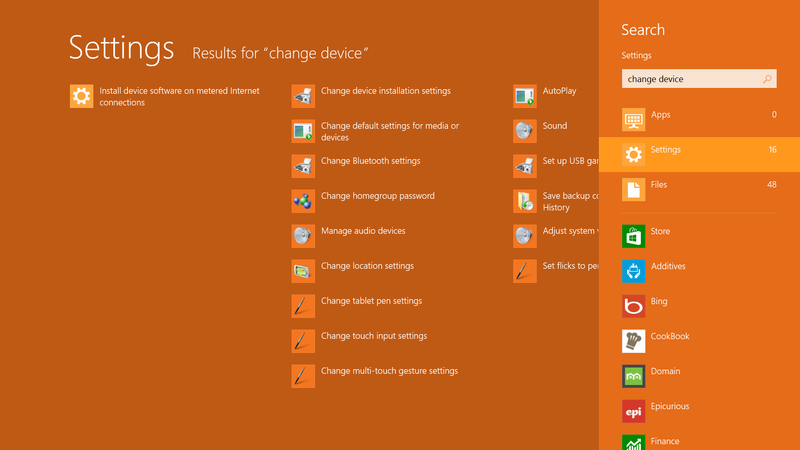 Hopefully Microsoft & Intel will get on this and we can put this setting back to automatic.